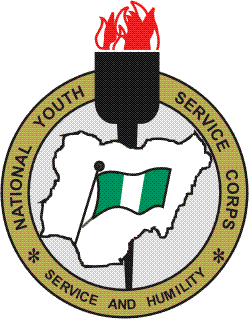 National Youth Service Corps (#NYSC) important information to all 2018 Batch ‘C’ Stream II Prospective Corps Members. The National Youth Service Corps 2018 Batch “C” Stream Two Orientation Course is scheduled to hold in Twenty-Seven (27) Orientation camps only. They are: Abia, Adamawa, Akwa-Ibom, Bayelsa, Cross-River, Delta, Ebonyi, Edo, Ekiti, Enugu, Gombe, Imo, Jigawa, Kaduna, Kano, Katsina, Kebbi, Kwara, Lagos, Nasarawa, Niger, Ondo, Osun, Oyo, Taraba, Zamfara and FCT. a. Commencement and Registration: Thursday 15th November, 2018.
b. Cut-off date for Registration: Midnight, Friday 16th November, 2018.
c. Swearing-in Ceremony: Monday 19th November, 2018.
d. Closing Ceremony: Wednesday 5th December, 2018. 2. All prospective Corps Members for the 2018 Batch “C” Stream Two Orientation Course are advised to proceed to their respective camps as stated on their call-up letters. Foreign-trained graduates are to report to the camp with original certificate/transcript for verification. 3. All prospective Corps Members earlier deployed to Kaduna State for 2018 Batch “C” Stream One Orientation Exercise are advised to report to camp on the above mentioned date. 4. With effect from the 2018 Batch “C” Service Year, National Diploma (ND) Certificate will be presented with other relevant documents by Prospective Corps Members of Mono/Polytechnic as pre-condition for registration at the Orientation Camps. 5. In the event of any loss of Call-up letter, any Corps Member who collected the Call-up letter from his/her Institution is advised to obtain Police Report and Sworn Affidavit, thereafter, report to the Institution of graduation for further necessary action. Those who initially printed their Call-up Letters on-line can re-print as many times as they want in the case of loss. 6. Prospective Corps Members are to note that their states of deployment may differ from their Orientation Camp venue; hence, they must take careful note of their respective Orientation Camp Venue as indicated on their Call-up letter before proceeding to camp.